Head here for live coverage of the 3pm uniform unveiling! 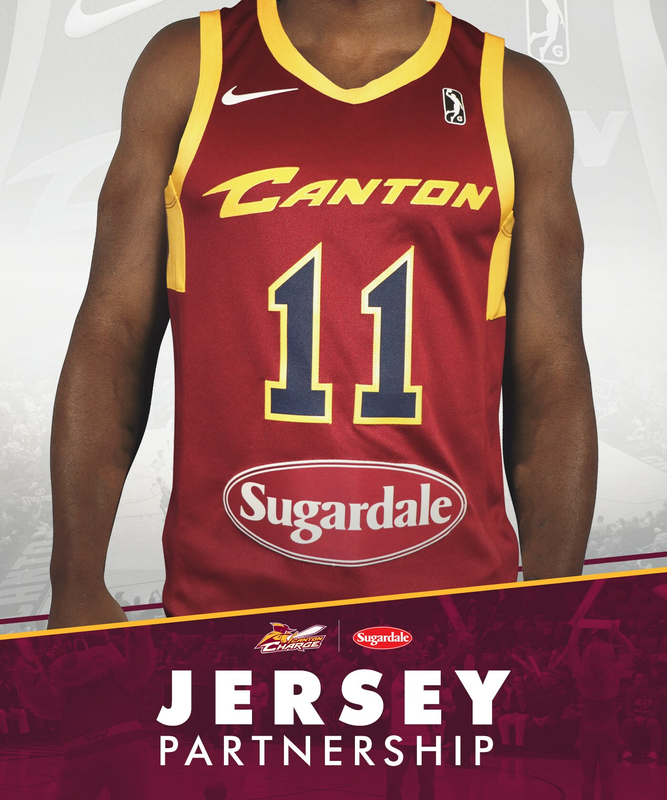 The Canton Charge, powered by the Cleveland Cavaliers, and Sugardale today announced a multiyear sponsorship agreement for the company’s logo to appear on Charge player uniforms beginning in the 2018-19 season. The two Ohio-based organizations made the announcement today at Fresh Mark headquarters in Massillon, Ohio. The Charge home uniforms will feature the Sugardale oval logo below the numbers in a white silhouette with the wine jersey background. The Charge road uniform will feature the Sugardale oval logo silhouette in their bold red with the white jersey as the background. The Charge have been refining top talent on and off the court in Canton as part of the NBA G League since the 2011-12 season. The partnership is the first of its kind for Canton and a record 21 of the 27 teams in the NBA G League will have jersey partnerships this season. Founded in Canton, Sugardale has been serving their premium products to families both around the corner and around the globe since 1920. Now with three Ohio-based production facilities and a distribution center all located within 45 miles of one another, Sugardale has grown from its origins in Northeast Ohio into a nationwide supplier ready to serve customers for the next 100 years. This partnership adds another global platform to Sugardale’s presence in stadiums and extensive support of Ohio sports. Hundreds of thousands of fans each year enjoy Sugardale hot dogs while cheering on the Cavs, Pro Football Hall of Fame, Cleveland Indians, Ohio State Buckeyes, and Columbus Clippers.